It is well known that pulmonary congestion is a major predictor of morbidity and mortality in heart failure and is the single most important contributor to hospitalization, even more significant than low cardiac output . Several studies reported that adaptive servo-ventilation (ASV) therapy improves cardiac output in patients with high-pulmonary capillary wedge pressure (PCWP), elevated E/e′, and advanced mitral regurgitation [2, 3]. These parameters indicate the presence of pulmonary congestion. The present study demonstrated that ASV therapy significantly reduced the degree of mitral regurgitation, accompanied by a tendency toward a decrease in E/e′. Thus, ASV therapy was considered to contribute to the improvement of pulmonary congestion, resulting in reduction in readmissions and total medical costs in patients with chronic heart failure who had a history of repeated hospitalizations. Although PCWP measured by right heart catheterization is considered the most reliable marker for the assessment of pulmonary congestion, it is difficult to study repeatedly because of the invasive measurement procedure. Thus, noninvasive and reliable tools for monitoring PCWP could replace the invasive approaches. Imamura and colleagues demonstrated that remote dielectric sensing (ReDS) technology can quantify lung fluid content noninvasively and identify PCWP of ≥ 18 mmHg with high reliability [4, 5]. 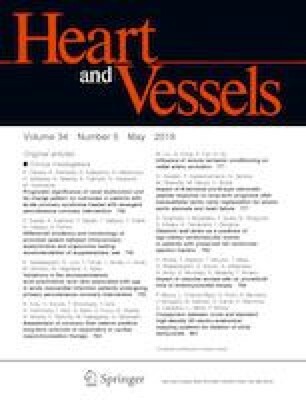 After publication of the SERVE-HF trial , the benefit and safety of ASV for HF patients who continue or initiate ASV therapy must be reconsidered. Non-invasive methods such as the ReDS technology are expected to be useful for identifying responders, setting the appropriate pressures of ASV, and judging the termination timing of ASV therapy.